During our marriage, my husband and I have owned and lived in 3 different houses. We built our first house…what fun it was choosing kitchen cabinets, flooring, countertops, light fixtures, and all the other details that go into creating a home! It was a blank canvas, and we made it our home. 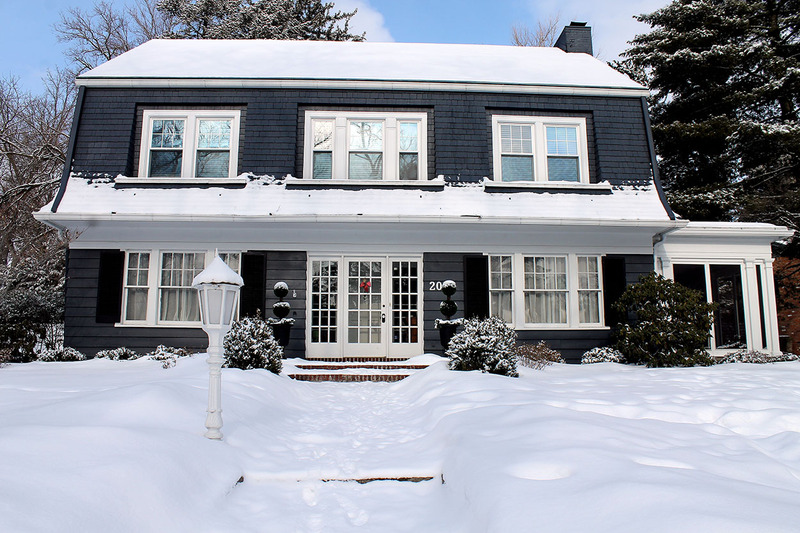 Our last two residences have been older and established houses. That, too, has been fun…REcreating the space to make it our own. Sometimes it is more work, but we love the character that comes with an old house. I’ve always thought that in order to create a “home,” you must add personal touches to your house. I didn’t realize that I was starting somewhat of a tradition on our first anniversary when I asked the maitre d at the restaurant where we celebrated if I could have a menu from that evening. 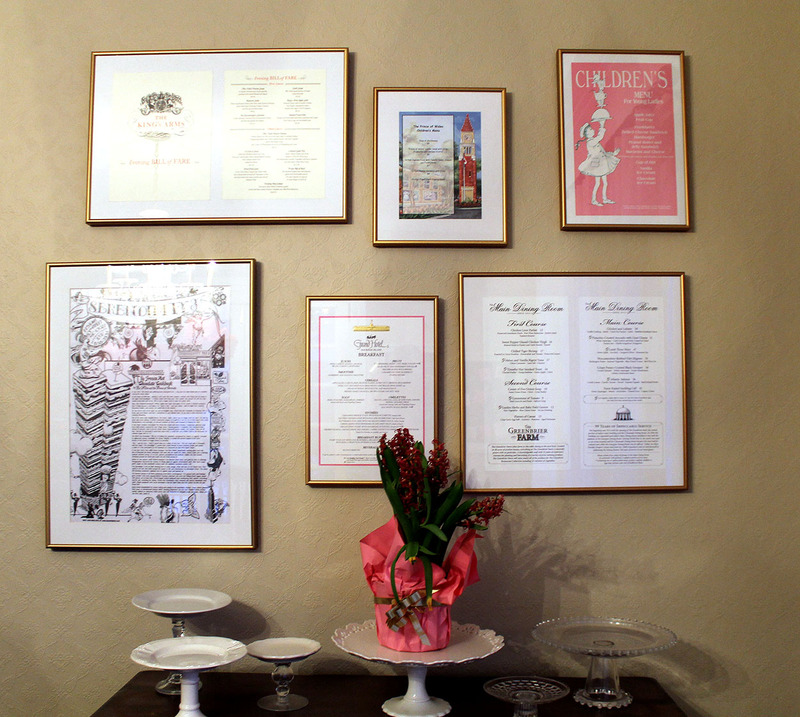 It was a beautiful menu from the Maisonette in downtown Cincinnati. I knew immediately that I wanted to have it framed and hang it in the dining room of the house we were having built. 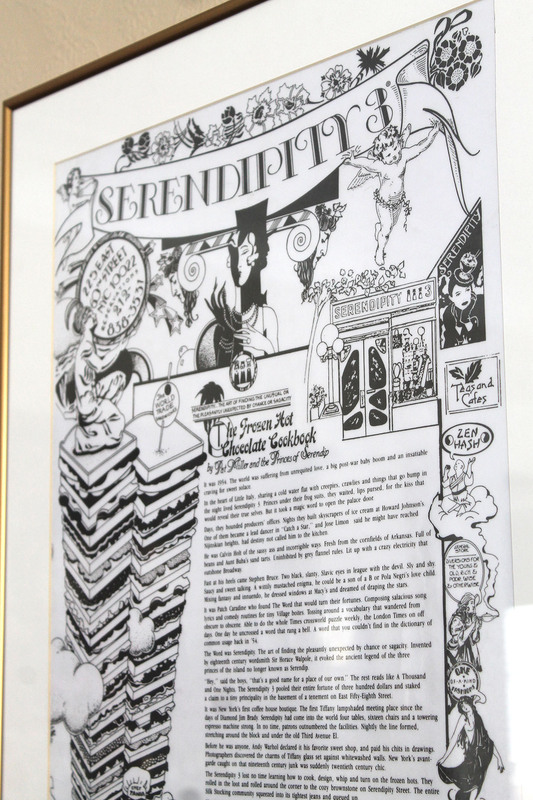 When we moved into the house two months later, it was one of the first things to be hung on our bare walls. Little did I know, it would be a conversation piece when having company. People always want to know the story behind it. With each move, it has come with us and we have found a spot for it. I had it reframed when we moved to our current house, and it now hangs in our kitchen. 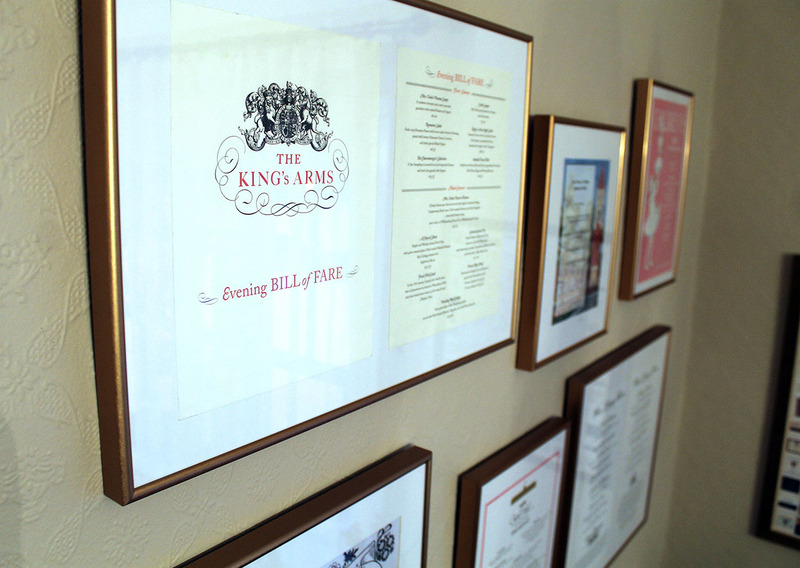 We also have a wall of framed menus in our dining room. These menus have come from restaurants we have visited while on vacation. 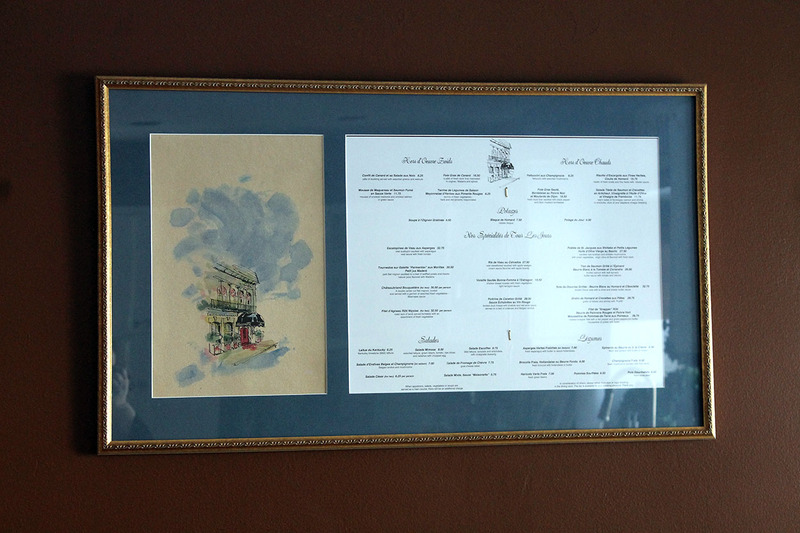 If it is an historic restaurant or one that made an impression on our family, we try to remember to ask for the menu. Sometimes I forget, but we have great memories of the ones we do have! 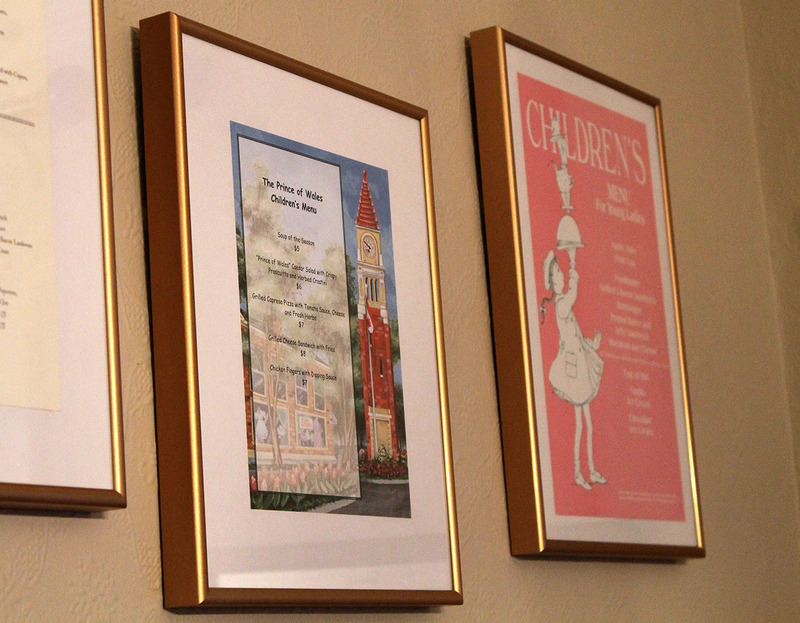 Since each menu is a different size and shape, I keep the look cohesive by using the same basic gold-tone frame. The matting is done in a simple white. Sometimes, I include the cover of the menu if it is unique. Other times, it is just the actual menu. I love this idea Beth!! Wish I had started doing this years ago!